Why does hyaluronic acid dry your skin? Does Hyaluronic Acid dry your skin? When you use a hyaluronic acid serum to add super hydration to your skin, it seems counter intuitive for your skin to become even drier! So why does your skin dry out when you use a hyaluronic serum, why doesn’t this happen to everyone and what can you do about it? Over the past year or so, hyaluronic acid has become the darling of the anti-aging and the skin care industries, because of its powerful ability to add a super pulse of hydration to your skin. So how in the world can a hyaluronic serum dry out your skin, making it even drier than before you started using it? I mean, the reason why you are using a hyaluronic serum is because your skin is really dry and now it is even worse? What gives? Well, you are correct in thinking that a hyaluronic serum is a vital ingredient in your skin care regime, particularly if you have dry skin. The problem is that the amount of hyaluronic acid that our body can produce naturally, rapidly reduces over time, usually beginning in our late twenties. This means that a hyaluronic acid serum is the right choice to prevent your skin from losing its elasticity and suppleness as you become older. The vast majority of people have no problems with using a hyaluronic serum and find that their skin becomes plumper and more moisturized very quickly. Others however, find that a hyaluronic serum dries out their skin, which is the opposite of what they want! This is because hyaluronic acid draws water to itself, in fact it can hold up to 1000 times its own weight in water, which is fabulous if your skin is devoid of moisture. When you apply a hyaluronic serum to your skin, it pulls moisture from the air and draws this moisture into your skin – that’s how it hydrates your skin. The problem arises if there is little moisture in the air, which is why people in humid climates usually have no problems and those in dry, low humidity climates are more likely to have problems. This is because with little moisture in the air, hyaluronic acid must pull moisture from somewhere, so it pulls it from your skin! It actually does the opposite to what you want it to do. Hyaluronic acid is so good at its job, that it will take moisture from wherever it can and if it can’t pull if from the air, the next best place is your skin. So this is why some people complain that their hyaluronic acid serum dries out their skin, rather than hydrating their skin. The big culprit is a lack of moisture in the air. What is the best way to use your Hyaluronic Acid Serum? First of all, regardless of the climate, whether you live in a dry or a humid environment (which can change during the year anyway! 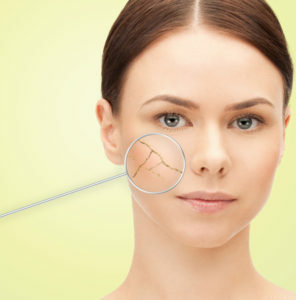 ), never apply your hyaluronic serum to dry skin. Always leave your skin at the very least slightly damp and then apply your serum. If your skin is very dry and the air is also very dry, then leave your skin wet, not dripping wet, so that the hyaluronic serum doesn’t slide off your skin, but still wet rather than damp. When they serum has absorbed into your skin, which will only take a moment or two, then you need to apply a moisturizer over the top of the serum, as this will seal the hyaluronic acid serum into your skin. Some people with oily skin find that they don’t need to use a moisturizer over the top of their hyaluronic serum, but for the rest of us, we really need to take this extra step. 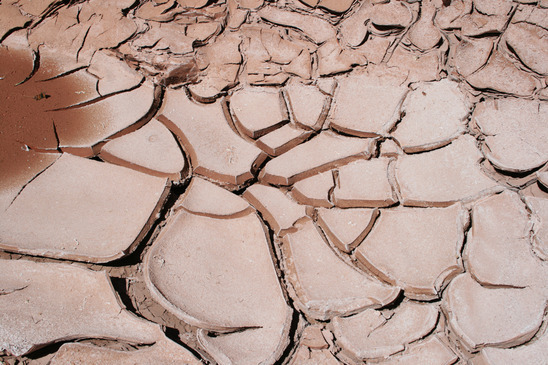 If you have very dry skin and you live in a dry climate, then you need to prevent the hyaluronic acid drawing moisture from your skin. Instead you want it to add as much hydration as possible to your skin. 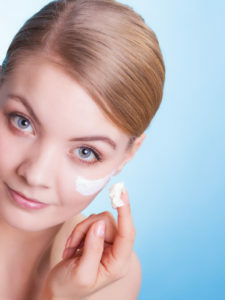 The best way to do this is to look for a hyaluronic serum that includes other moisturizing ingredients as well, avoiding any serum that is pure hyaluronic acid. Other moisturizing ingredients that will support the hyaluronic serum and help to add more moisture to your skin include vitamin E, MSM and Jojoba Oil. Vitamin E helps your skin to retain moisture and to keep that moisture locked in, Jojoba Oil helps to moisturize your skin and prevent moisture loss, whilst MSM helps all of your hydrating ingredients to penetrate your skin. 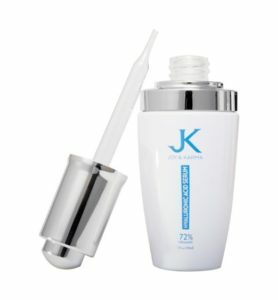 The hyaluronic serums that you might find the best for very dry skin are JK Hyaluronic Acid, Azure Naturals Ultimate Hyaluronic Acid and the Body Merry Hyaluronic acid. To read more of my hyaluronic acid serums, click here.